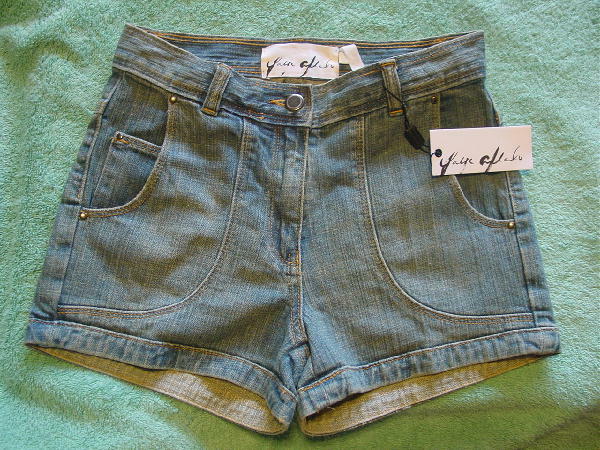 These never-worn Ya Ya Aflalo multi-tone light-medium blue (the closeup picture has the accurate color) denim shorts have the manufacturer's tag still attached. 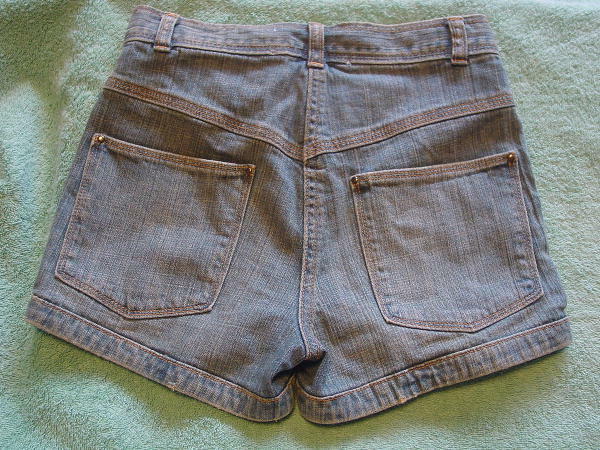 They have a 3 7/8" long zipper fly and a 1 1/2" wide waistband with belt loops. The front has three open pockets with two silver-tone rivets on each of the larger pockets and one on the watch pocket. 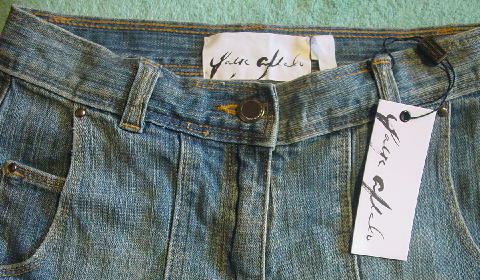 The back has a rivet on each upper corner of the two open pockets. It says 25 on the tag. They are 99% cotton and 1% spandex, and were made to have that "well-loved" look on the leg openings, pocket openings, etc. She said she bought them on sale for $150 plus tax (the original price was $220 plus tax).